In recognition of achieving the highest grade-point average of all PhD graduates at UBC’s Okanagan campus this year, the 2014 Governor General’s Gold Medal is being awarded to Melisa Lavallee. Lavallee is a distinguished scholar in the Irving K. Barber School of Arts and Sciences with a passion for mathematics. She is a recipient of multiple University Graduate Fellowship awards and a Natural Sciences and Engineering Research Council of Canada (NSERC) Alexander Graham Bell Canada Graduate Scholarship. Her excellence has been recognized with all three of the Governor General’s Academic Medals. She won the bronze medal in high school in 2002, and she was UBC Okanagan’s first-ever silver medal recipient as an undergraduate in 2006. Her doctoral thesis focused on the study of parametric families of polynomials and, in particular, their construction and application. “Funnily, when I was in high school, I detested math more than any other subject,” recalls Lavallee. However, that misconception changed when she took first year calculus with mathematics Prof. Blair Spearman, Lavallee’s PhD supervisor, along with Assoc. Prof. Qiduan Yang. “He made math so tangible and beautiful that I fell in love with it and switched majors after my first year,” she says. Lavallee’s professional goals include a career in teaching. 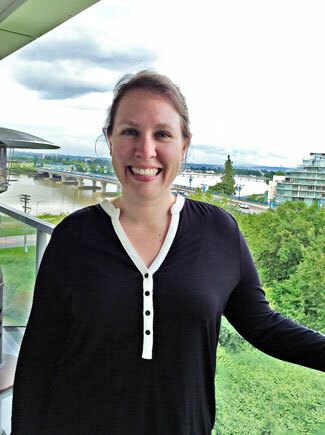 Currently, she works as an instructor at Langara College in Vancouver. “I was blessed with amazing teachers throughout my post-secondary experience who guided me in the choices I had to make and really helped me become the person I am today,” Lavallee says. She hopes to do the same for others as well as continuing research and making herself known in the world of mathematics. “Personally, I wish to live my life with the same passion and determination that pushed me to achieve the success I did in my studies,” she says. “You only meet a person like Melisa once in your lifetime,” says Spearman. “Since her commitment to mathematics, there was no doubt she would succeed at the highest level. I am very proud of her achievements and know that success will continue to follow her throughout her career and academic research." This year’s recipient of the Governor General's Silver Medal -- presented to the undergraduate student with the highest academic standing from across UBC -- is Kyle Noftall from UBC’s Okanagan campus. 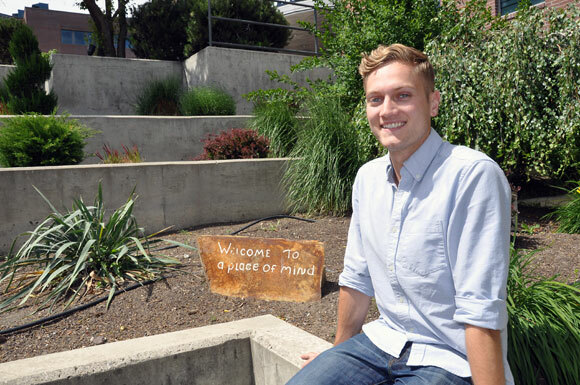 Noftall completed two years in the science program at UBC’s Vancouver campus before beginning his studies in the Bachelor of Science in Nursing program in the Okanagan. “For me, achieving success in my school work has always been a result of having interest in the subjects I'm studying,” says Noftall. “When I'm interested in what I'm learning I am motivated to take the time to study it and understand it and find ways that I can apply it. I look to a variety of people in my life for motivation -- my family and friends, my classmates, and of course my instructors. The Governor General’s Academic Medals are awarded at four distinct levels: Bronze at the secondary school level; Collegiate Bronze at the post-secondary, diploma level; Silver at the undergraduate level; and Gold at the graduate level. Medals are presented on behalf of the Governor General by participating educational institutions, along with personalized certificates signed by Governor General David Johnston.